I am always looking for new and interesting things to try. 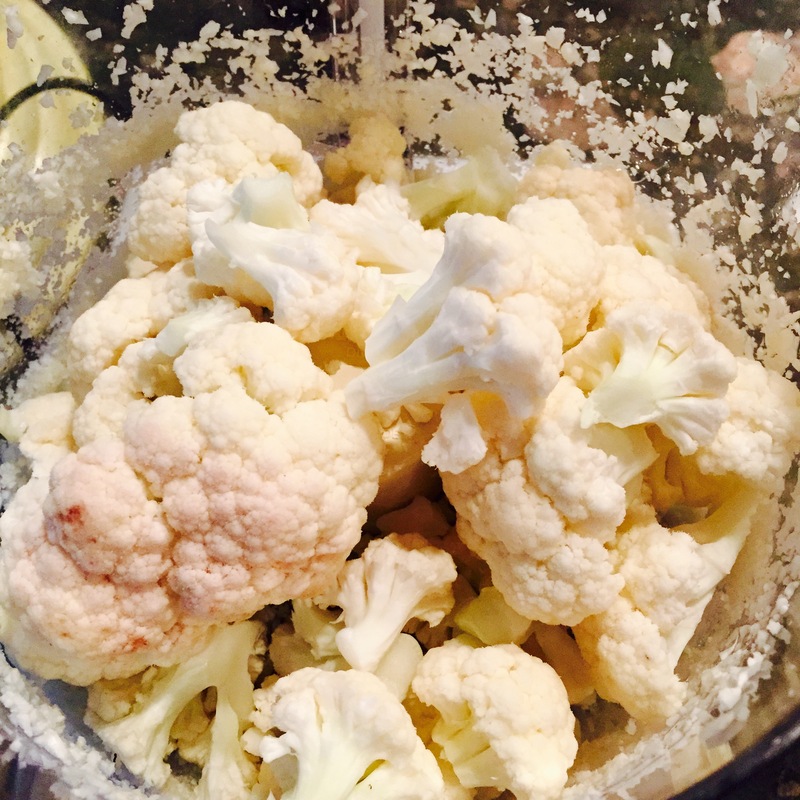 Recently, I have been hearing all about cauliflower and all the cool ways you can use cauliflower to substitute for more carby carbs. However – I wasn’t on board. There just is no way cauliflower can taste like pizza crust, sorry. I am not one to make snap judgements before giving something a try – so I have set out to test this new trend. 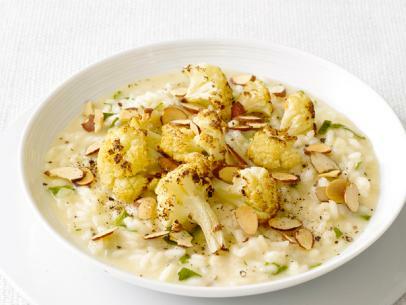 Up first, cauliflower risotto. It wasn’t the same as the real thing, but I must admit, it was pretty flavorful and delicious! 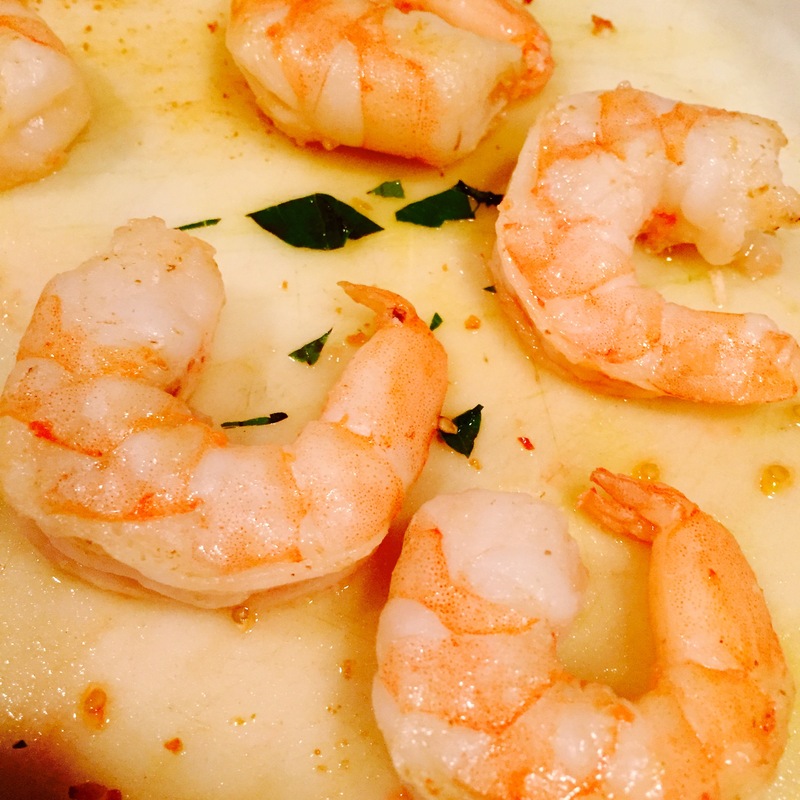 *I added shrimp, but you can use chicken, sausage, or nothing at all. Heat a large skillet over medium-high heat. Add the butter/olive oil and thinly diced onion to the skillet and cook, stirring often, until translucent, about 3-4 minutes. Add in minced garlic and cook for another 2 minutes, or until golden. 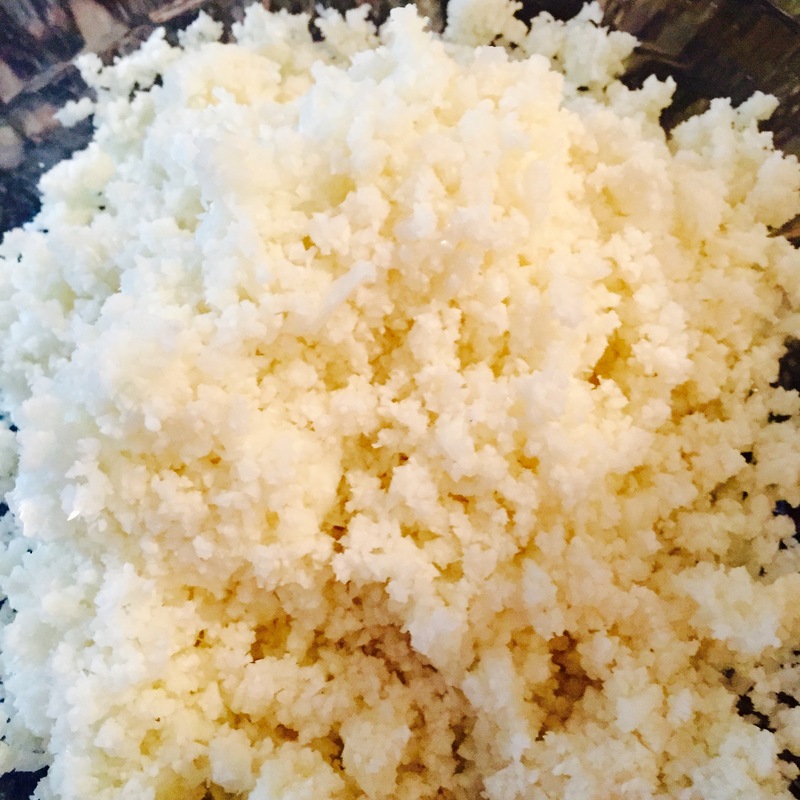 Meanwhile, add the cauliflower florets to a food processor and process, scraping down as needed, until it resembles “rice,” approximately 2-3 minutes. Add the cauliflower “rice” to the skillet and stir, cooking for about a minute or so, until combined. Heat the chicken (or vegetable) broth to a gentle simmer, preferably over the stovetop. Add in ¼ cup of the simmering broth to the cauliflower mixture in the skillet and cook, stirring constantly, until completely incorporated. Repeat until only ½ cup of the broth remains. 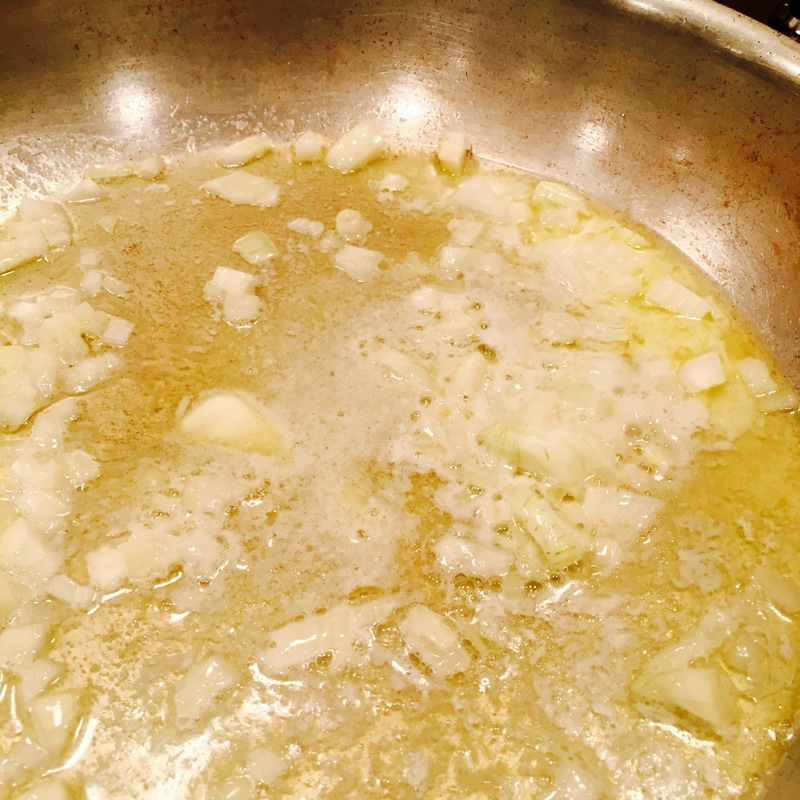 Stir in the white wine, adding in more or less as you desire, and then stir in the rest of the broth. Once all the broth has been incorporated, it is best to let the risotto sit on the stove over low heat, as it lets the flavors really meld together. However, you are welcome to serve it right away. Salt and pepper to taste, and top with almonds/parsley. Enjoy.